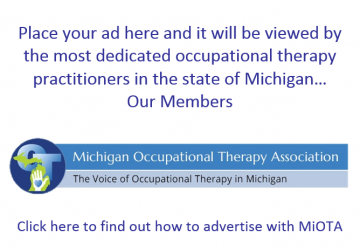 Michigan Occupational Therapy Education Consortium (MOTEC) is a group of the academic fieldwork coordinators and assistant fieldwork coordinators from all of the OT and OTA programs in the state of Michigan. Promote quality fieldwork education for all levels of occupational therapy students. 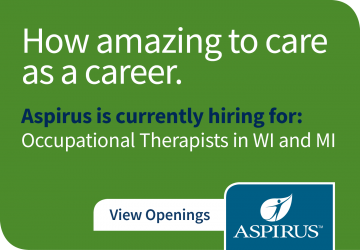 Maximize the number of qualified fieldwork sites to ensure that every occupational therapy student who wishes to complete fieldwork education within the state of Michigan has the opportunity to do so. Encourage collaborative relationships among academic programs and fieldwork education sites. Foster a spirit of support and collegiality among academic fieldwork coordinators and academic programs. Facilitate resources to increase quantity and consistent quality of fieldwork education sites. Provide a forum for collaborative problem solving of issues related to clinical education of occupational therapy students. Ensure that clinical education for occupational therapy students reflects current practice. Promote professional development of fieldwork educators. Monitor, analyze and communicate the impact of trends on the occupational therapy clinical education. To facilitate and sustain a strong and cohesive statewide partnership among academic programs and fieldwork educators in Michigan in order to promote and enhance quality learning opportunities for all occupational therapy students. 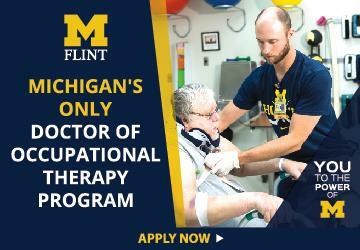 Occupational therapy fieldwork education in Michigan cultivates practitioners of tomorrow who employ occupation-centered, evidence-based practice, embrace lifelong learning, and proactively address professional and societal needs.